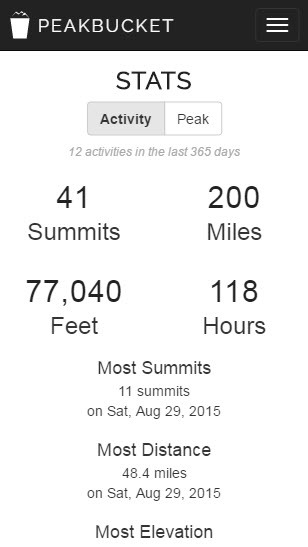 The activity tracking website for peakbaggers. 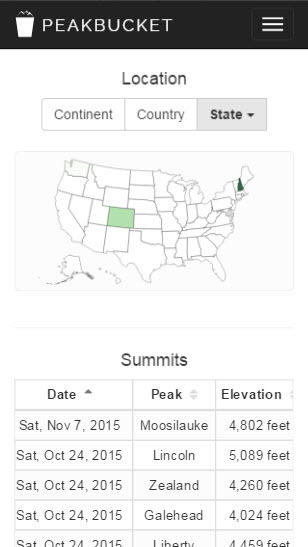 Not satisfied with your current peakbagging resource? Neither were we. We were tired of pushpins, pencils, spreadsheets and oversimplified summit logging websites. That's why we created PeakBucket, an activity tracking website that's crafted to meet the specialized needs of modern peakbaggers. 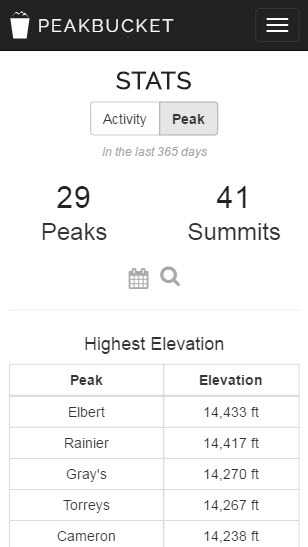 Our activity-based platform enables you to record common GPS statistics, including distance and elevation gain (in your units of choice), along with the peaks you summit. 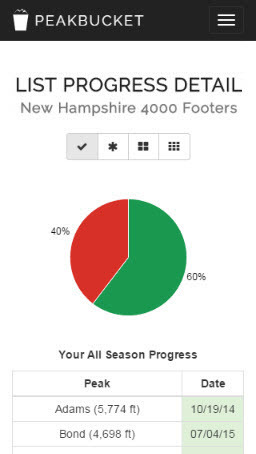 Whether your goal is to finish that list once or twelve times, our completion styles will automatically track your progress against all season, winter, four season and grid finishes. We've built PeakBucket so you can dive deep into your activity and list progress data in ways that are quick, easy and completely customizable. Whether you want to keep your activity private, share it with a few friends or open it up to the world, we've made it easy to do so on PeakBucket and other websites. 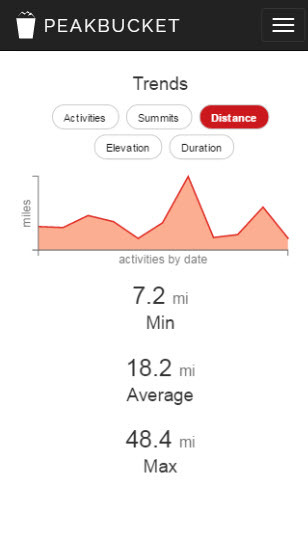 PeakBucket's responsive platform provides a seamless user experience on most mobile phones and tablets with a data connection so you can track, analyze and share your activity closer to the mountains.